East Coast Poured Floors offers several different products including Laticrete SuperCap, USG LevelRock & Durock, sound reduction membranes, and moisture mitigation systems. The Revolutionary Laticrete SuperCap System, a favorite of owners and architects, virtually eliminates all the issues of the traditional method of build out. An impressive variety of innovative floor underlayments for a wide variety of substrates – wood, concrete, and metal. Two-part solid epoxy systems used to battle moisture vapor transference from concrete slabs into flooring and adhesives. We are certified applicators of many manufacturers such as Laticrete, Aquafin, Dependable, Koster, Dexotex, and Sika. Sound reduction membranes to meet a variety of needs and UL assemblies – from low profile, cost-saving mats to luxury, high-performing mats. 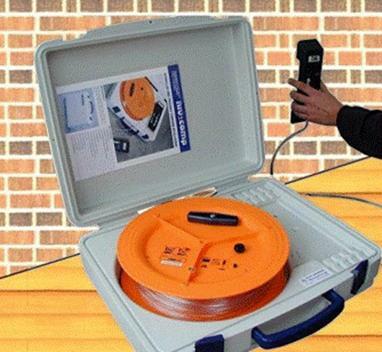 East Coast Poured Floors works closely with its customers regarding flooring tolerances and offers surveying services to capture the substrate as a whole and identify high and low spots. ECPF uses this survey to engineer the substrate to any tolerance and prepare it for finished flooring goods. Engineering every job site is what sets us apart from our competition. 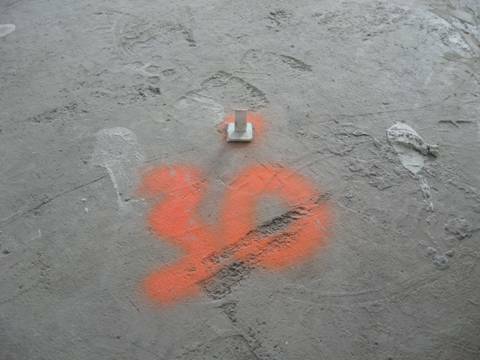 Before our crews arrive to pour at any job site, our engineering team has already been to the location and recorded precise measurements of the substrates high and low points. We then use special pins to mark the correct elevations, which ensures that the floor will reach our clients flatness specifications. At East Coast Poured Floors we take the highest priority in reaching our customers job specific needs. We are interested in discussing our engineering process with you and many of our clients include this service in the design build process to ensure that the job is done correctly the first time, without change orders. Please feel free to contact us by email or at 443-460-1000 to set up an appointment to discuss in detail our engineering and mapping services.